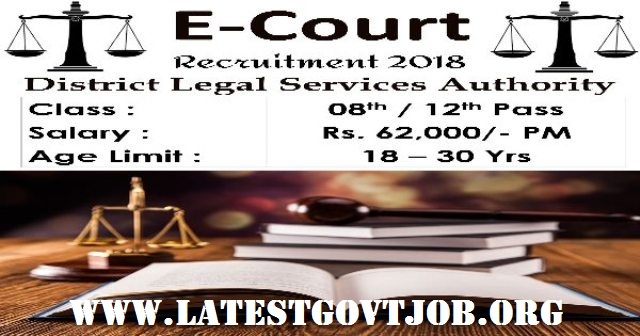 E-Courts, Tamil Nadu Recruitment 2018 For 158 Computer Operator & More @ecourts.gov.in : Principal District Court, Dindigul has released a notification for the recruitment of 158 Computer Operators and more. Interested candidates may check the eligibility criteria and apply before 28-05-2018. Candidates should have passed Bachelor's Degree in any stream or equivalent from a recognised university. Selection of candidates will be made on the basis of Written Examination, Skill Test and Personal Interview. Interested and eligible candidates may apply by sending their application form along with photocopies of the relevant documents and passport size photographs with a self addressed envelope by affixing postal stamp of Rs. 30 to The Principal District Judge, Principal District Court, V.N. Valagam, Near Collectorate, Dindigul before 28-05-2018.